Les & Louie: Back At The Double! There’s few decades of soulful knowledge & DJ expertise between these two & we are honoured once again to have them pair up & grace our little fundraiser next month… Please take a bow Louie Martin & ‘Sir’ Les Knott! Louie’s been DJ’ing from an early age at a local youth club who were putting on a charity event & he came up with the idea of putting 2 stereo units together! 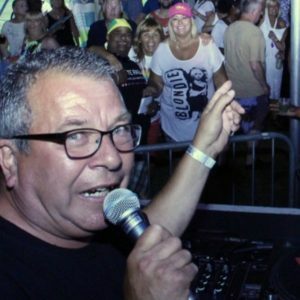 From those humble beginnings he’s gone onto become part of UK soul music royalty, alongside the likes of Robbie Vincent, Jeff Young, Chris Brown, Froggy, Sean French, Greg Edwards & many more, playing legendary clubs including The Royalty, The Gold Mine, Caister Weekenders & The Knebworth Soul Festival. A long serving broadcaster for local radio over the years including stints at Chiltern, Galaxy & Choice FM (Birmingham) to name a few, Louie is now a regular on Delite Radio every Sunday from 10am – midday. 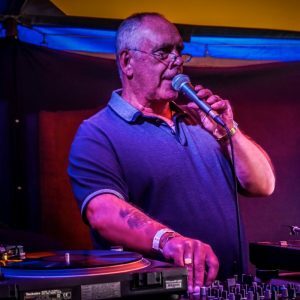 Another British soul DJ pioneer is Les Knott who started spinning in the late 1960’s & soon built a big following in his home county of Essex with his soul/funk nights which eventually bought big guest names such as Chris Hill, Tom Holland & Steve Walsh to town. Les was instrumental in also bringing ‘all dayers/all nighters’ to the south of England & resided with the late, great Froggy at the aforementioned Royalty. Over the years Les has worked at the likes of The Lacy Lady, Caister & with artists such as the mighty Marvin Gaye, Fat Larry’s Band, Shalamar, Al Hudson, Hot Chocolate to name an esteemed few. After leaving his long residency at Tiffany’s in Harlow the early 1980’s, Les continued to work hard on the club scene, which also took him to Majorca, Spain & Ibiza. Then in 2005 he decided to retire from the decks but luckily for all of us, Les caught the DJ’ing bug again, since broadcasting regular radio shows on the likes of Cruise FM & Zero Radio, & guesting regularly at many events in & around the south east, including Summer Soulstice! Catch these two providing another feast of funky & soulful treats in the Connoisseurs Corner this June!